The first great politician who accepted Buddhism. Prince Shotoku (573 – 621) was a great ancient Japanese politician and a regent of the Empress Suiko (the first Queen) in Asuka period. He understood teachings of Buddhism and introduced it to Japan. He had an eye on politics based on Buddhism. For that reason, his figure is an object of belief. Especially, Jodo Shinshu school respect him strongly. And also we can see the statue of Prince Shotoku’s childhood. 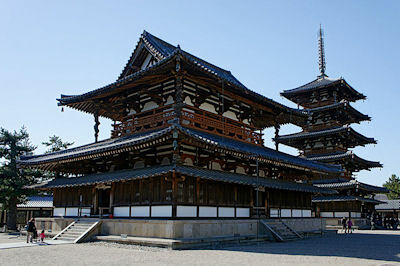 He established the world oldest wooden building, HORYU-ji temple at Nara and SHITEN-NOH ji temple at Osaka. In Shiten-Noh-ji temple, the festival and large-scale Buddhism rites are held on every 21st and 22nd. At that time, China was the super power, and neighboring countries paid a tribute to Chinese dynasty to continue to exist. 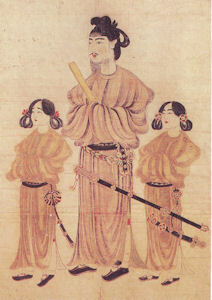 Prince Shotoku, however, he had asked a tie of equal relationship with Chinese Sui dynasty. He wrote a national official letter to Emperor Yang of Sui. Emperor Yang had gotten angry about the letter, but he had forgiven Japanese attitude after that, and established tie between China and Japan. The portrait of Prince Shotoku had been printed on the bill of 10000 Japanese yen from 1958 till 1986. The founder of Soto Zen. Dougen (1200 – 1253) is the the founder of Soto Zen. He went to Sung Dynasty to learn advanced Zen and brought it to Japan. He is the founder of pure Zen in Japan. In Europe and America, talking of Zen, it’s regarded as single system, but actually, Zen have two systems. One is Rinzai Zen, Another is Soto Zen. Roughly speaking, idea itself is the same, the way of practice is different. The hallmark of Soto Zen is “sit singlemindedly (Zazen)” without?thinking. Daily life itself is practice (very hard). Spiritually awakening is never goal, even if got a spiritually awakening, you should ask for it more. ?We should sit singlemindedly like Gautama Siddhartha. That is the best practice, he said. Soto Zen head temple is Eihei-ji at Fukui, Japan. It’s one of the largest?temple. In winter, there is a place that get snow and cold. Practice is very hard. The founder of Zen in Japan. Yousai (a.k.a. Eisai 1141 – 1215) is the the founder of Rinzai Zen. 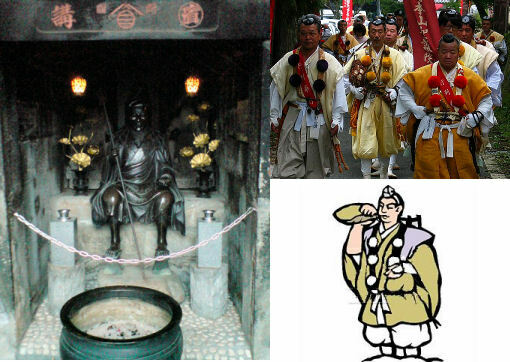 He went to Sung Dynasty to learn advanced doctrine and reform Japanese Buddhism. Then he learned ZEN, and he brought it to Japan (He is the founder of ZEN in Japan). 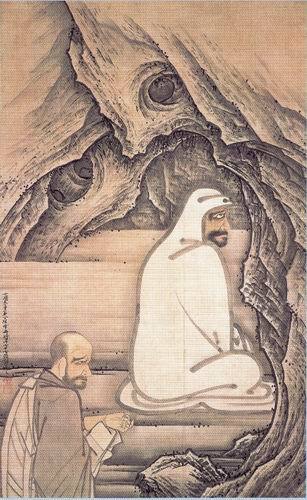 Rinzai Zen had been followed by many Samurai. The hallmark of Rinzai Zen is “Kouan (Zen Mondou)”. Stop general thinking, and he can understand it with metaphorical expression only (Soto Zen is “sit singlemindedly (Zazen)” without thinking. Daily life itself is practice (very hard)). Rinzai Zen head temple is Kennin-ji at Kyoto, Japan. It’s one of the largest temple. Nowadays, this temple is central temple of Zen and Zen cultute. 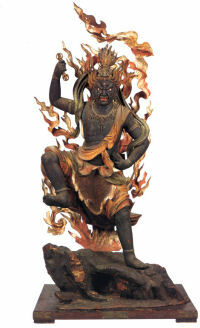 Originally, Kennin-ji had had original Fujin Raijin by Tawaraya Sotatsu (now National musium is having it). The high priest who gave a light to people who are not rewarded. Shinran (May 21, 1173 ? 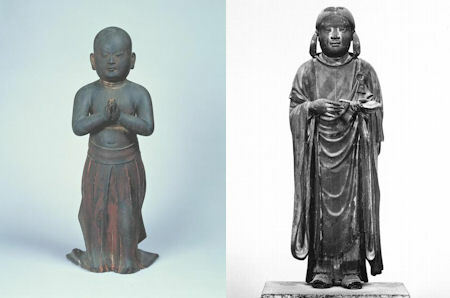 Jan. 16, 1263)was a Japanese Buddhist monk. Shinran was a pupil of Hounen and the founder of what ultimately became the Jodo Shinshu school in 12th century. The hallmark of his idea is “Akunin Shoki”. “Every action is based on some desires, this is not along with Buddhism teaching that abandon desires. So, nobody can take things philosophically (can’t become Buddha). Everybody is unenlightened person. This idea had saved people who gave up all hope and Buddhism. After established, this school had been called Ikko shu (single-minded believer’s group), and they had ever fought against political power (mainly 15th – 16th century). After 16th century, these characters vanished. Nowadays, Jodo Shinshu is the biggest Buddhism school in Japan now. 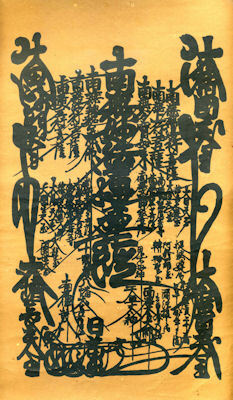 Shinran was also proponent of Nenbutsu (repeat the name of Amida) “Namu Amida Butsu”. 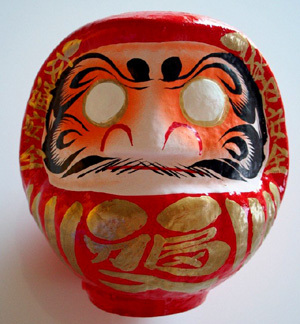 Jodo Shinshu deny strongly folk beliefs and superstitions. 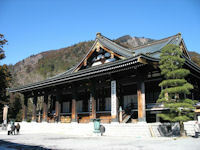 Main temples of Jodo Shinshu. We can’t narrow down to one single head temple on Jodo Shinshu. Because when they got troubles on successor, they were divided to some groups by political power in Edo era. Nishi Hongan-ji (left) and Higashi Hongan-ji (Right). 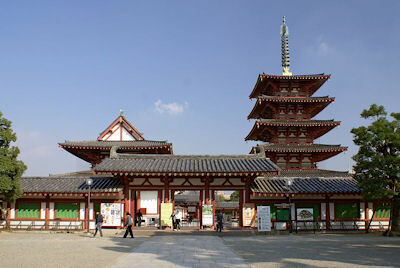 Their main temples have tendency to be named Hongan-ji. The Founder of Jodo school Buddhism! Hounen (1133-1212) is the religious reformer and founder of the first independent?branch of Japanese Pure Land Buddhism called Jodo shu. He preached that?believing in Amida Nyorai strongly. Because Mappou Shisou (one of eschatology)?prevailed in the years that he lived. Head temple of Jodo school! Chion-in is the head temple of Jodo School (Pure Land Buddhism) at Kyoto, Japan. It’s one of the largest temple. It’s the place where Hounen lived to disseminate?the teachings at Yoshimizu (in what is now Higashiyama Chion-in). 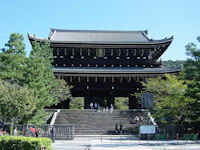 Chion-in is the most famous temple, because Chion-in is reported in a tour guidebooks.